Despite the fact that the Fall Collections are rolling out this week (which, of course, I'll be keeping an eye on) I am in no mood to think about a fall wardrobe. My mind is lost in resort wear and I've been going through the shows to get a little inspiration for what to pack for me and my wonderful boyfriend's getaway to Palm Springs, CA next week (I have the best guy in the whole world, I know)! Alice + Olivia is always way too much fun. Their resort collection from this year was so incredibly vintage inspired and crazy colors and just so playful - I love it! 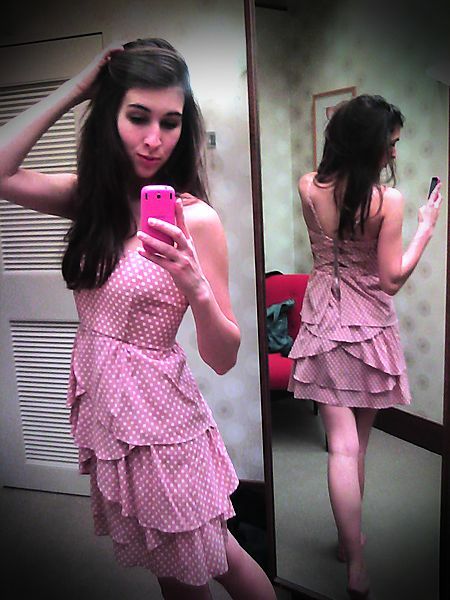 A few weeks ago I tried on one of their adorable little dresses, and fell in love. I didn't get it, but it was hard to walk away from!